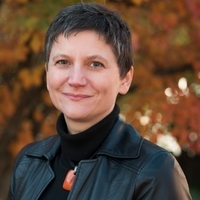 Michela Taufer is the Jack Dongarra Professor in the Department of Electrical Engineering and Computer Science at the University of Tennessee Knoxville (UTK). Before to join UTK, she was Professor in Computer and Information Sciences and a J.P. Morgan Case Scholar at the University of Delaware where she also had a joint appointment in the Biomedical Department and the Bioinformatics Program. She earned her undergraduate degrees in Computer Engineering from the University of Padova (Italy) and her doctoral degree in Computer Science from the Swiss Federal Institute of Technology or ETH (Switzerland). From 2003 to 2004 she was a La Jolla Interfaces in Science Training Program (LJIS) Postdoctoral Fellow at the University of California San Diego (UCSD) and The Scripps Research Institute (TSRI), where she worked on interdisciplinary projects in computer systems and computational chemistry. Taufer’s research interests in high performance computing include scientific applications, scheduling and reproducibility challenges, and big data analytics. She has nearly 100 publications and delivered nearly 80 talks at various conferences and research institutes. She is currently serving on the NSF Advisory Committee for Cyberinfrastructures (ACCI). She is a professional member of the IEEE and a Distinguished Scientist of the ACM.